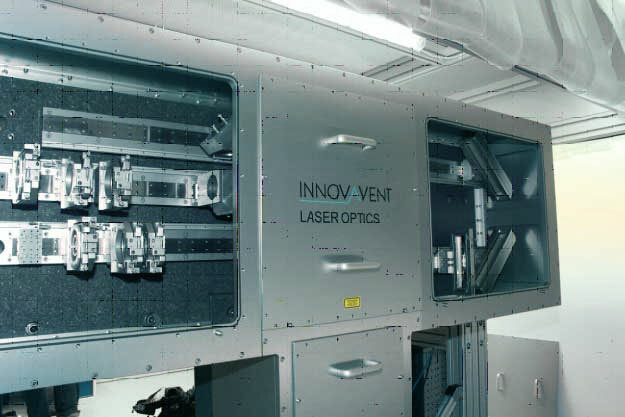 The VOLCANO® 250UV Laser Optics is built into a solid granite structure. 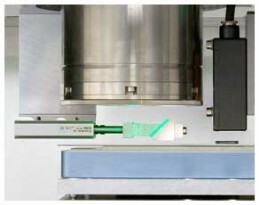 Two laser beams can be combined to obtain high energy density. 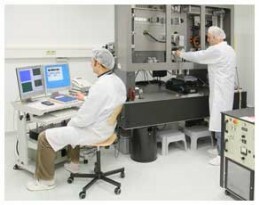 The beams are processed by independent telescopes and combined by a specially designed homogenizer. 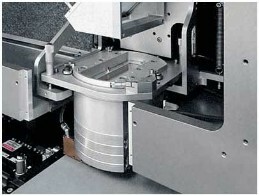 The combined laser beams are homogenized into a 250mm long line beam with a typical width of 20 - 30µm. 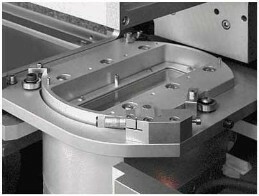 The FALCON 250UV projection lens assures a uniform line width and the large depth of focus which trouble-free production requires.